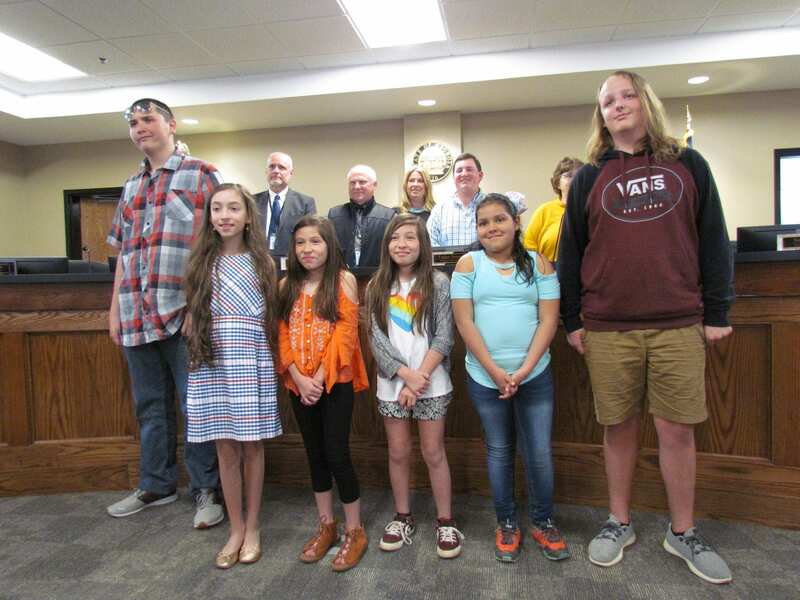 JASPER, Ga. – The Pickens County Board of Education presented awards to several students during their regular board meeting on Thursday, April 11, 2019. Valedictorian Emily Robinson (left), C. Wallace (right). 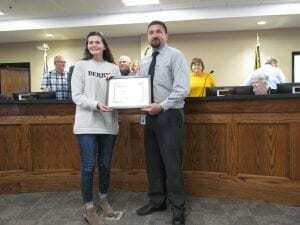 Emily Robinson was awarded the title Valedictorian, while Rosa Willis won Salutatorian. These titles are based on class ranking, determined by student Grade Point Average. Robinson isn’t entirely sure where she wishes to continue her education, though she has narrowed her options down to Emory University, Duke, Harvard, and Johns Hopkins, all of which has already accepted her. Willis has chosen Berry College as her college of choice. 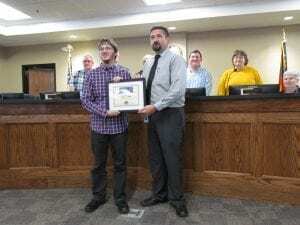 The 2019 STAR Student award was presented to Dale Smith, having the highest combined three-part SAT score on the same date. Smith has decided that he will continue his education at the University of North Georgia. Salutatorian Rosa Willis (left), C. Wallace (right). 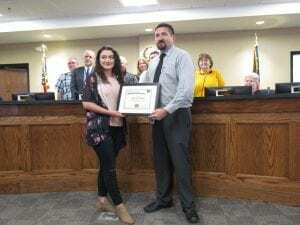 Emma Long wasn’t present and won first place in the National Talent Competition at the National FFA Conference in Indianapolis, Indiana earlier this year. This is her second National Award. 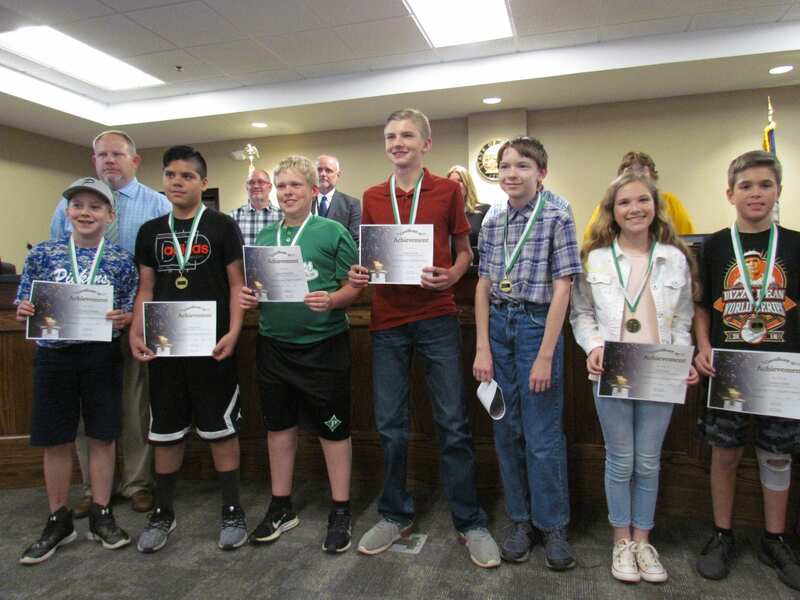 On Thursday, March 21, 2019, the Jasper Middle School Math Team, comprised of Jeremy Westbrook, Eric Malcolm, Grayson Ludington, Diego Rivera, Wyatt Richards, Coleman Keener, Ada Keener, and Julie Hermann, won first place at the Berry College Math Competition for the second time this year. The final round of awards presented were for a 4-H contest that occurred last March, known as the “District Project Achievement”. 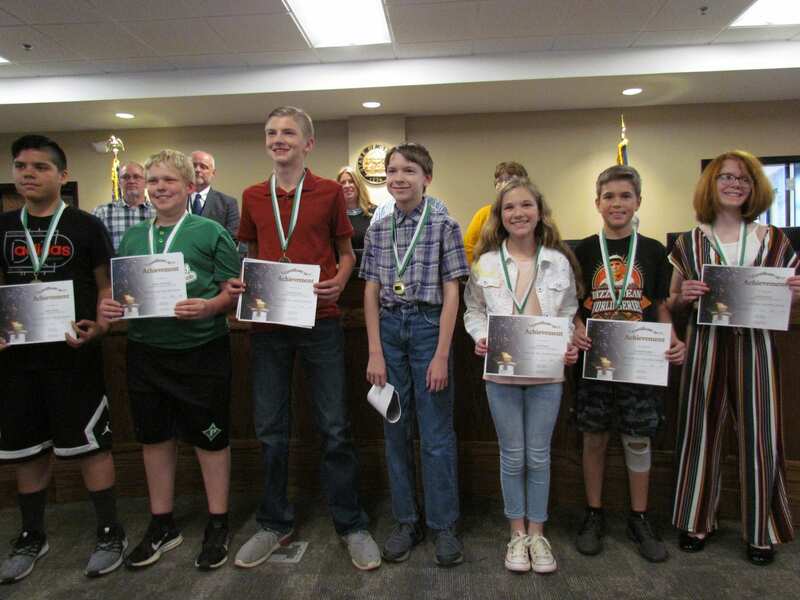 The seventh through twelfth grade students (Conner Watson, Colin Watson, and Titus Matteson) had to complete a portfolio to showcase their year-long work and project area in addition to their leadership and community service activities. They also had to present a 10 to 12 minute speech on their project area. 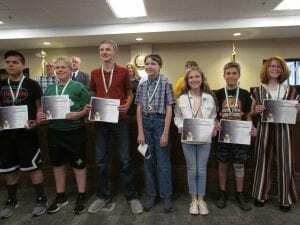 Watson placed second in Wildlife and Marine Sciences, while Matteson placed third in Housing Equipment and Environment. STAR Student Dale Smith (left), C. Wallace (right). 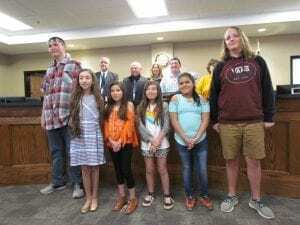 The fourth through sixth graders (Sarahi Flores, Sheila Flores, Sky Paredes, and Sophia Scott) had to prepare and present a four to six minute speech with props in front of two judges. All four girls placed first in their category. Congratulations from the Fetch Your News team to all who received recognition during this meeting!